Sponsored by TOTAL Foundation and TOTAL Kuwait and supported by The Voluntary Work Center, The Scientific Center and the Kuwaiti Coast Guard, the Kuwait Turtle Conservation Project (KTCP) studied sea turtles and their habitat in the southern Kuwaiti sea and islets Qaru and Umm Al-Maradim constantly for three years (2008-2011). Sea turtles are rare in Kuwait, especially Green turtles, whose nesting grounds disappeared after the construction works in Umm Al-Maradim. As they are probably trying to adapt to the modifications to the ecosystem, they roam the northern Arabian Gulf, endangered and vulnerable, as they do in most other seas of the planet. KTCP tried to study and understand sea turtle populations in Kuwait. International experts and Kuwaiti volunteers were part of this effort, the first ever of its kind in the country. 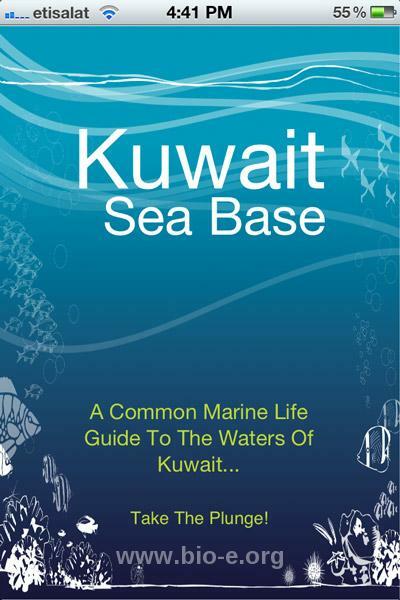 Apart from its other deliverables, such as a general management plan proposal for the Kubbar-Qaru-Umm Al-Maradim Protected Area, a turtle exhibit at the Aquarium of the Scientific Center, an ebook named The Soul of Kuwaiti Turtles (download it in ePub or PDF form at http://www.pinaki.info/books-soul.htm) and other environmental education material, KTCP also produced an extensive database of turtles, fish, invertebrates, corals and sea mammals. 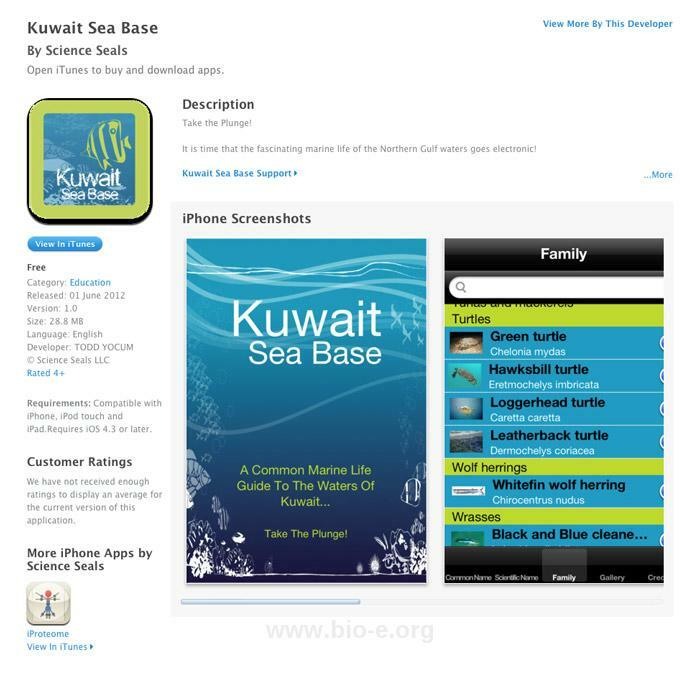 Without any additional funds when the project was completed, some members of the project decided to put together an iPhone App using part of that data, in order for it to profit all sea enthusiasts who have access to iPhone/iPad and iPod Touch and want an easy-to-use identification guide not just for the Kuwaiti Sea but also for the whole northern Arabian Gulf, to which the species mentioned in the App are all too common. 90% of the photography was taken in Kuwait and many Kuwaiti and International photographers, credited for their photos, contributed their work to KTCP, and our out in the iWorld via the Apple Store technology. 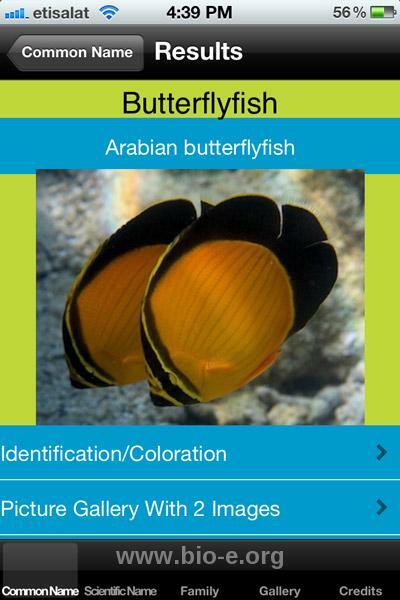 The App was developed by US software developing company Science Seals, LLC, as part of their social responsibility work, after its main developer-scientist visited Qaru and Umm Al-Maradim last year, invited by KTCP and impressed by the beauty of the islands. 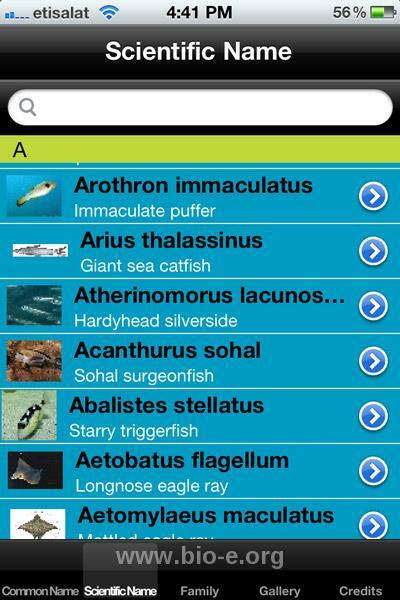 After an introductory welcome screen, the user finds himself looking at a list of 203 marine species, fish, sharks, rays and turtles. 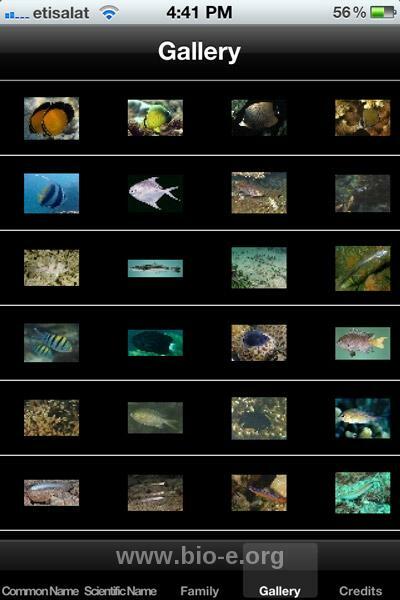 Four search options are available: Common name, Scientific Name, Family, and a photo gallery, including thumbnails of the species where photos are available. Click on a thumbnail, then on “more”, and some concise information appears about your fish. 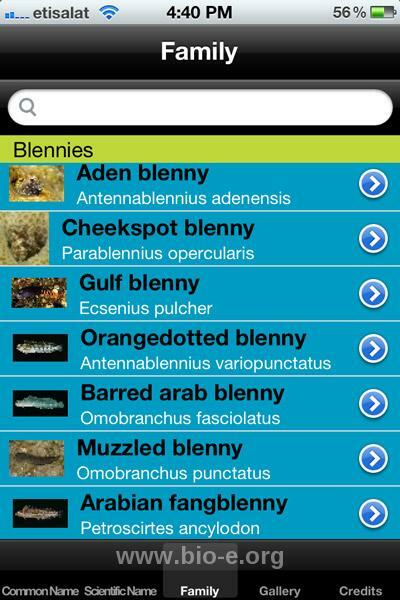 Click on the “Email” option at the top right of your screen and send your fish to anyone, photo and all! The Email option is available no matter the search option.